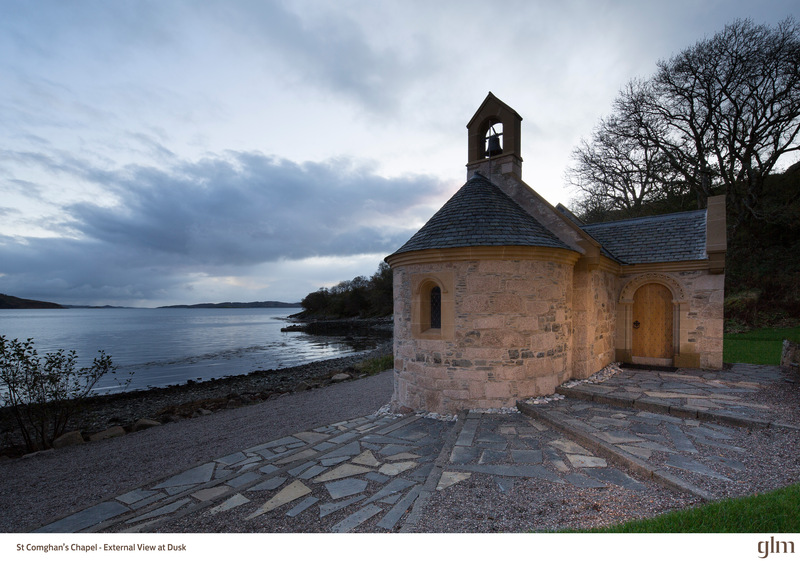 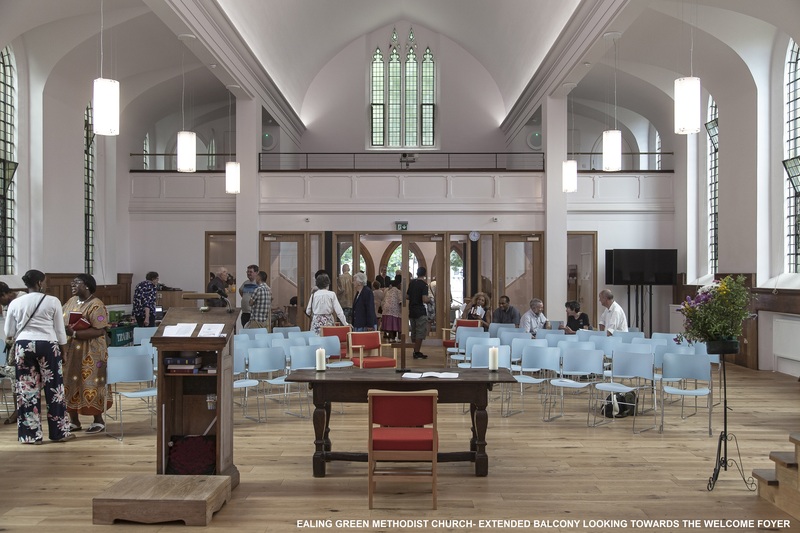 They include a new chapel on the Kilchoan Estate in the Highlands of Scotland built in Romanesque style with Celtic key patterns; the renovation and extension of Ealing Green church in Ealing, London, a response to the West London riots of 2011 and a new extension for St Michael & All Angels church in Summertown, Oxford, a space that mediates between the secular and the sacred. 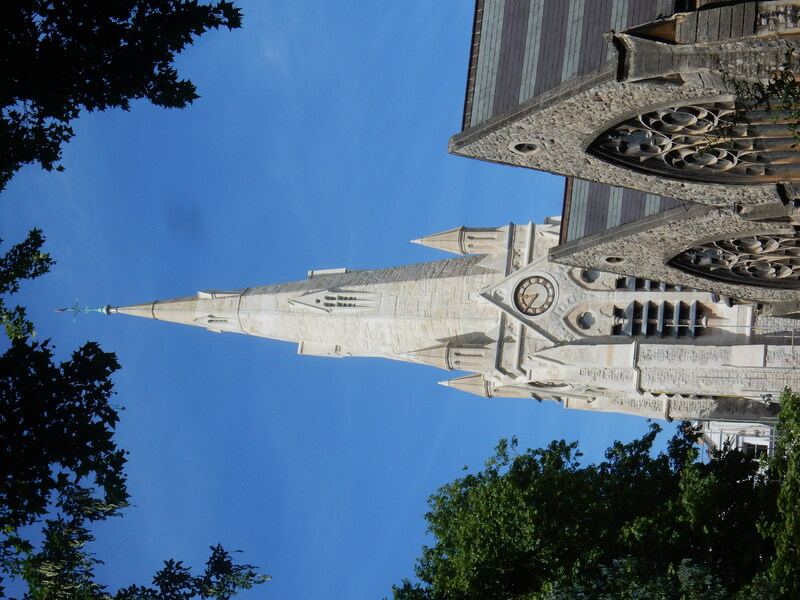 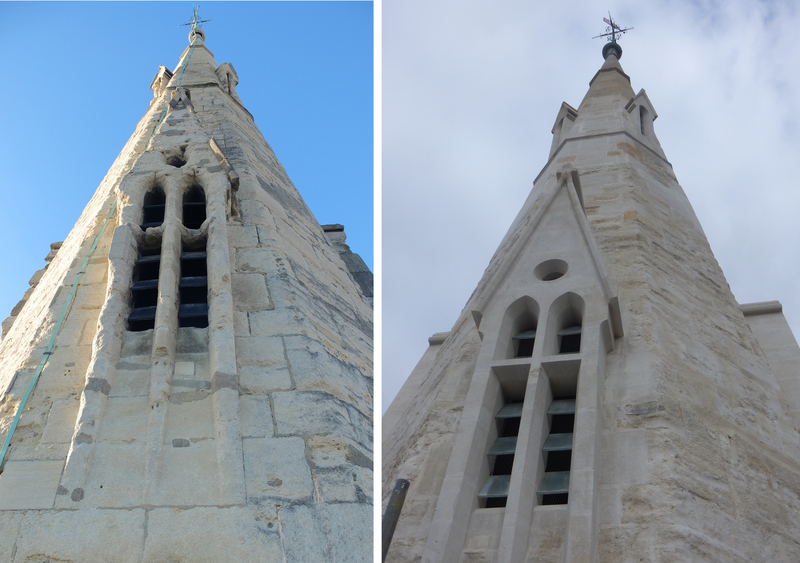 They include spire repairs to the church of St Jude, Kensington, London (now occupied by St Mellitus Theological College) 15 tonnes of which had weathered away over the lifetime of the spire; roof repairs to Ss Peter, Paul and St Philomena's church New Brighton, Liverpool, a project which faced many challenges due to the innovative use of reinforced concrete when the church was built in 1933 and conservation and repair work to St Mary Magdalene Church, Paddington, London, a project which has brought back to life the architectural and decorative quality of this Gothic Revival masterpiece. 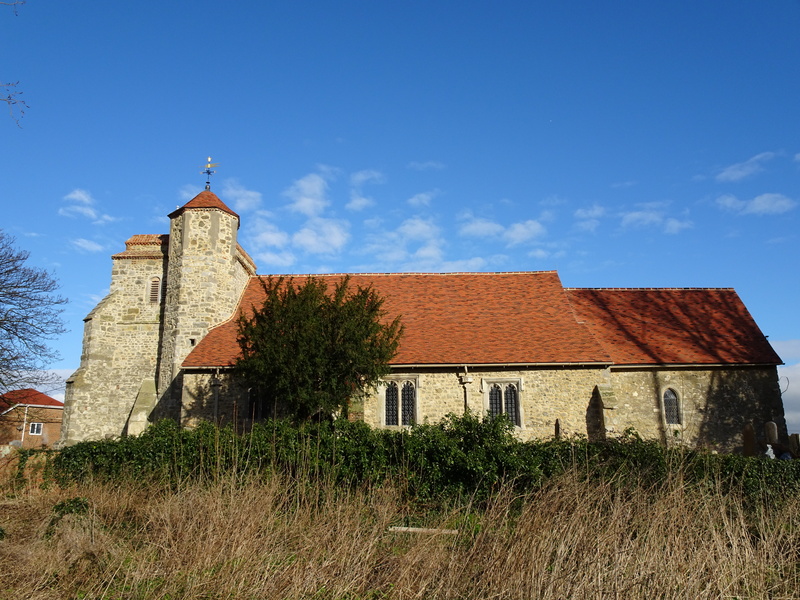 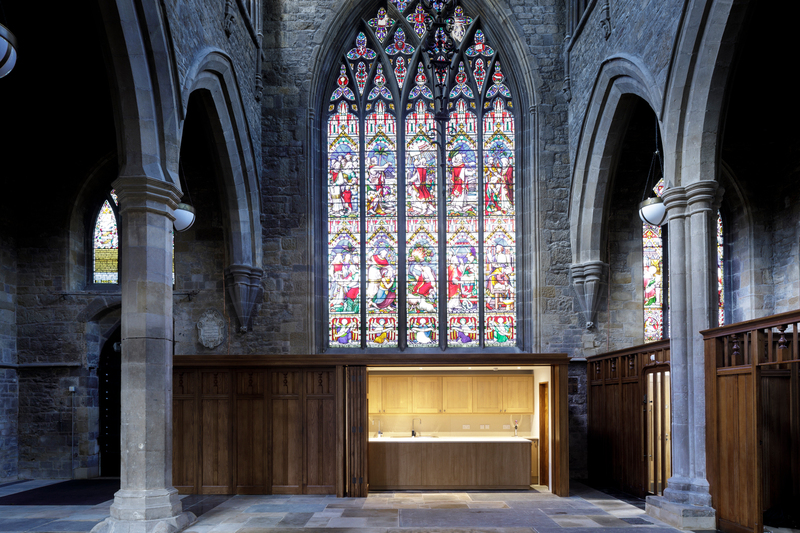 The King of Prussia Gold Medal for Architecture is open to the architect or chartered surveyor on any scheme of repair for a church or chapel of any Christian denomination in the UK, in use for regular worship. 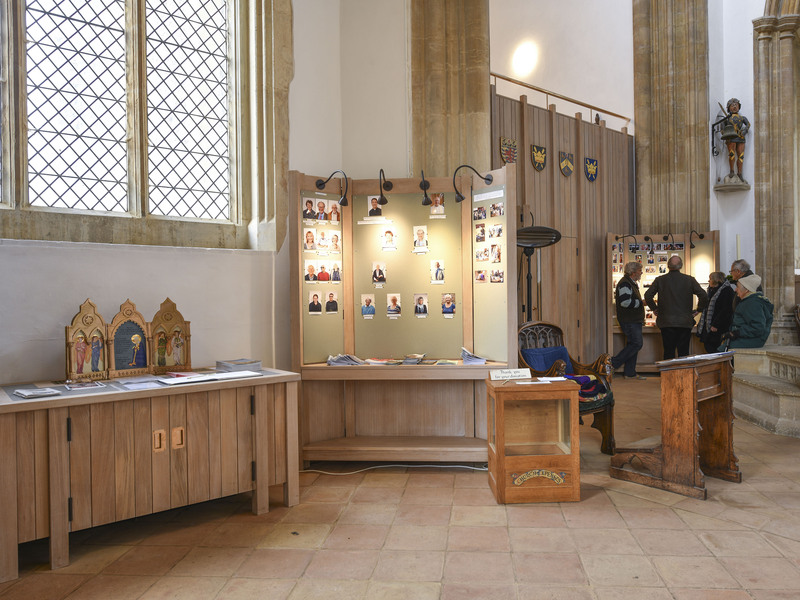 Photos of all the shortlisted entries. 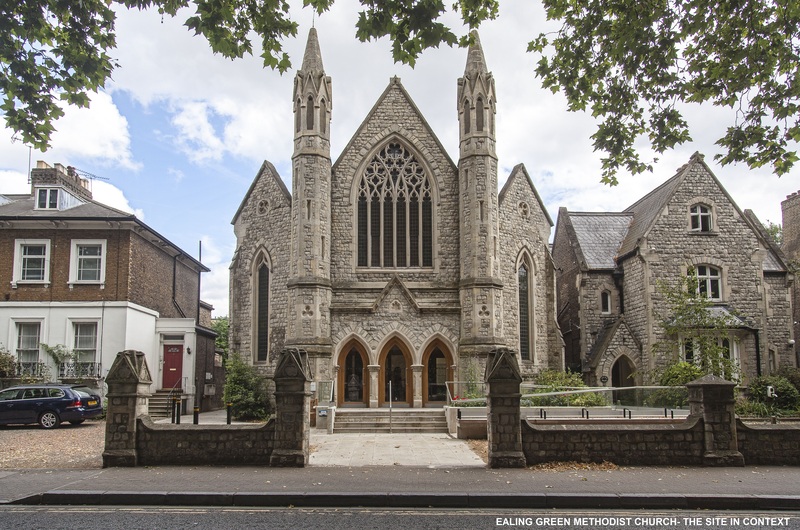 Winning entries will be revealed at an awards ceremony to be held at St Mellitus College, London SW5 on Thursday, 1 November 2018. 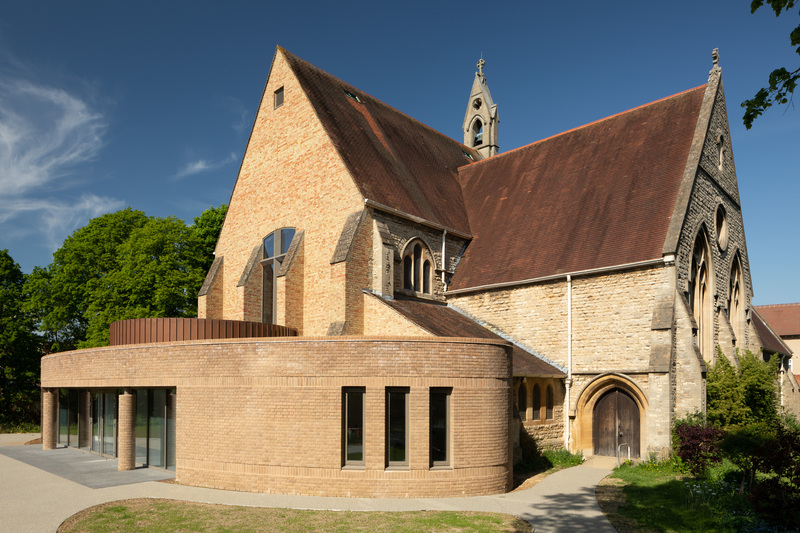 The Duke of Gloucester KG GCVO ARIBA will announce the 2018 winners of the Presidents' Award for new church architecture. 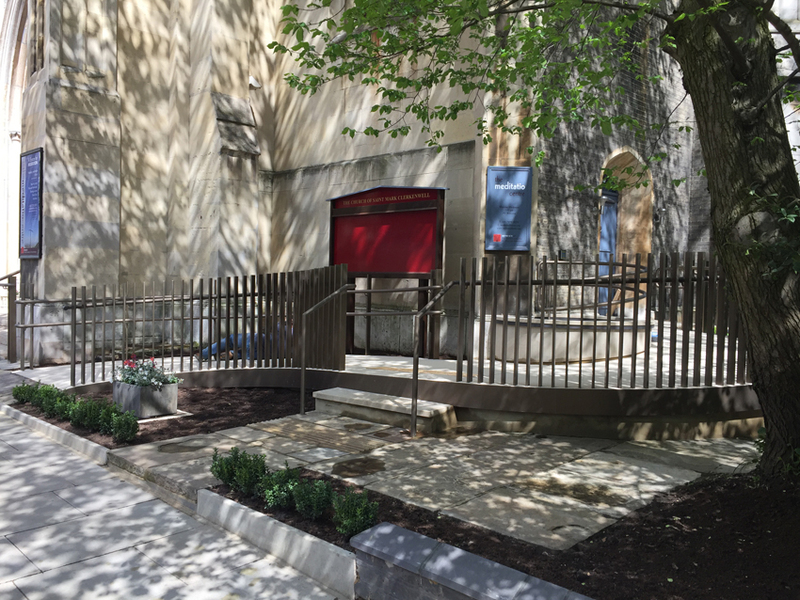 Prince Nicholas von Preussen will announce the 2018 winner of the King of Prussia Gold Medal for repair and conservation architecture. 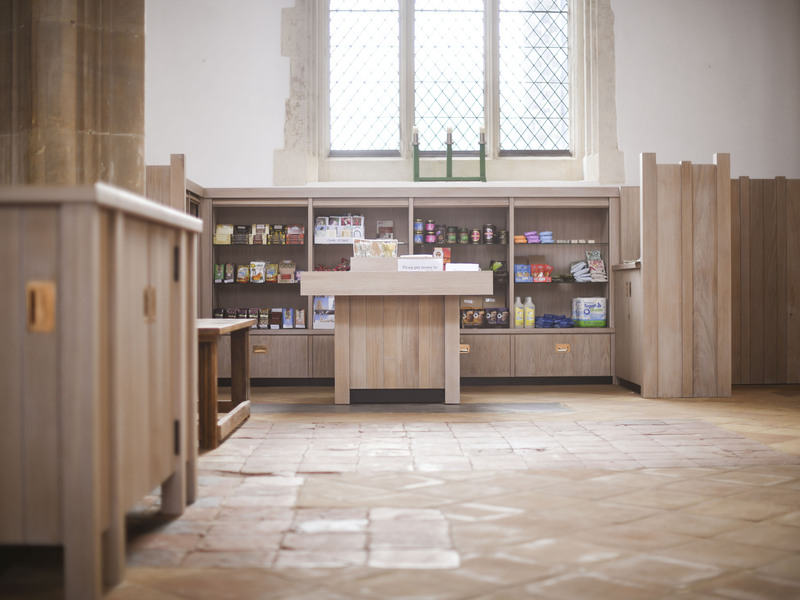 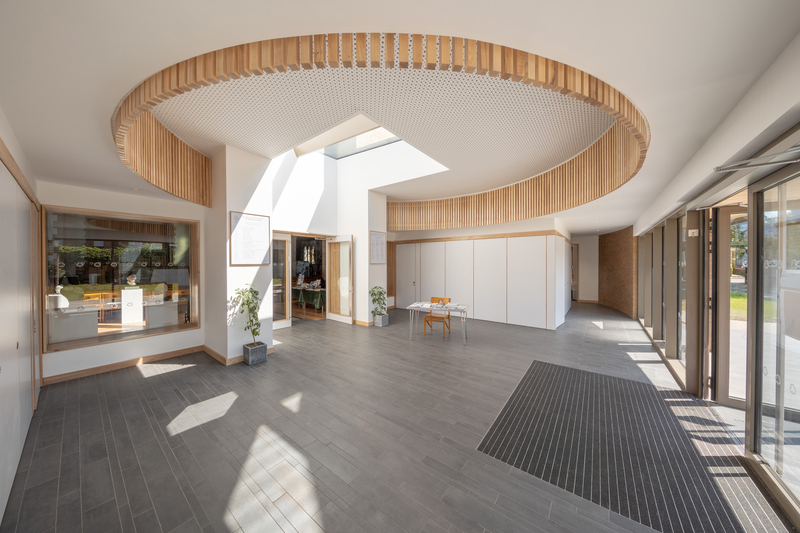 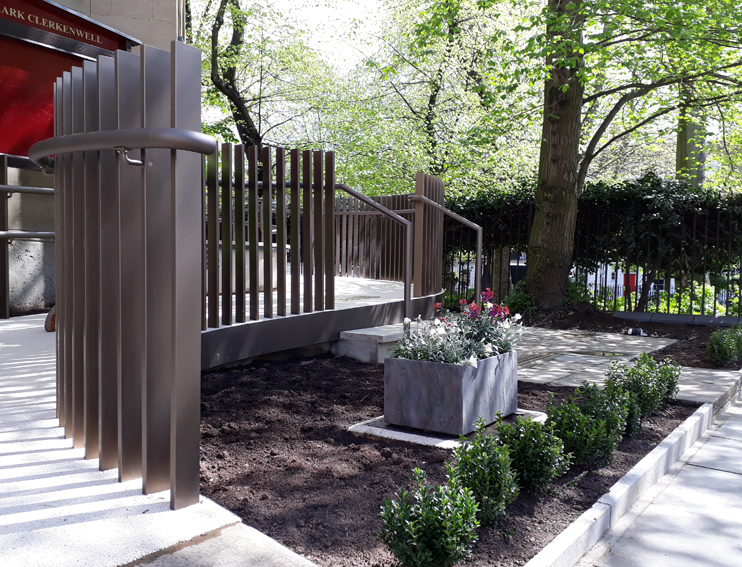 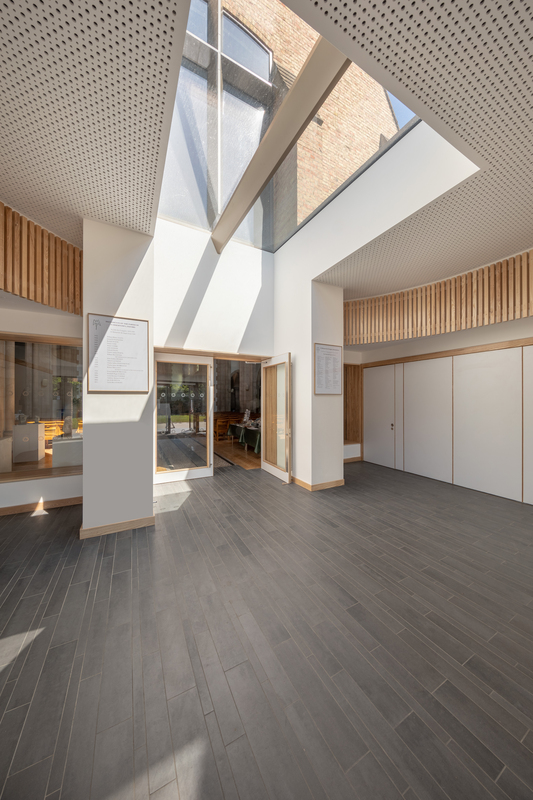 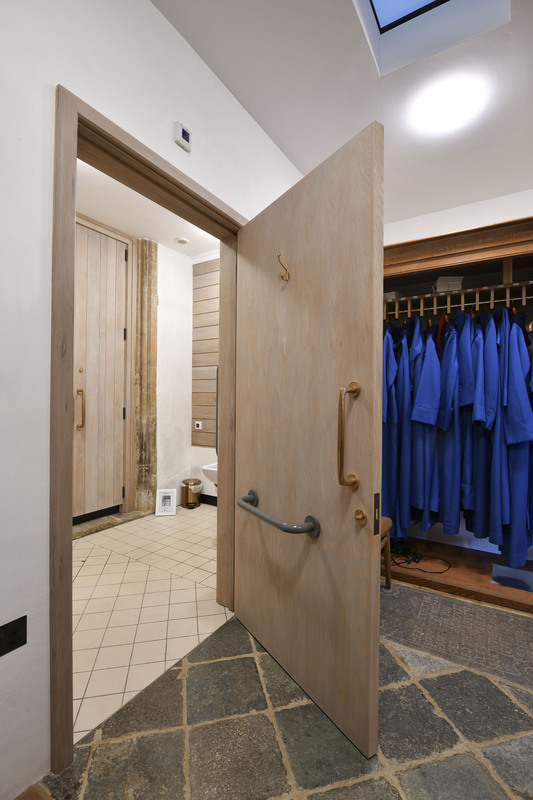 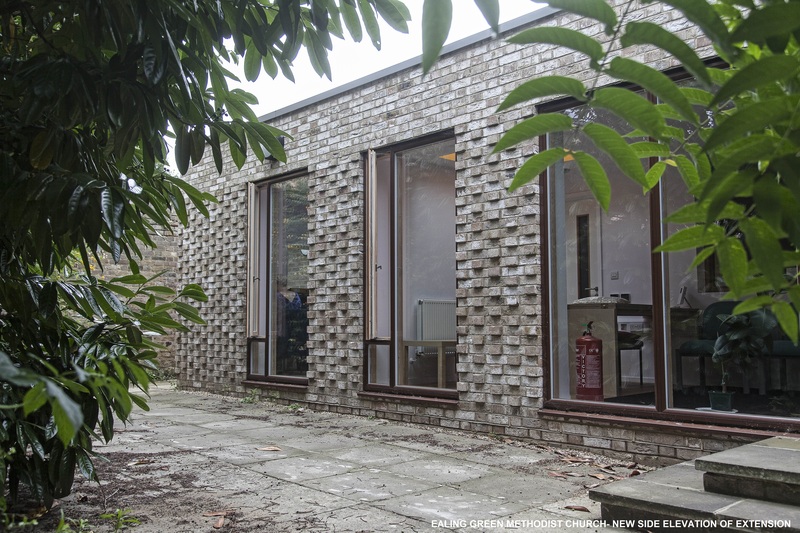 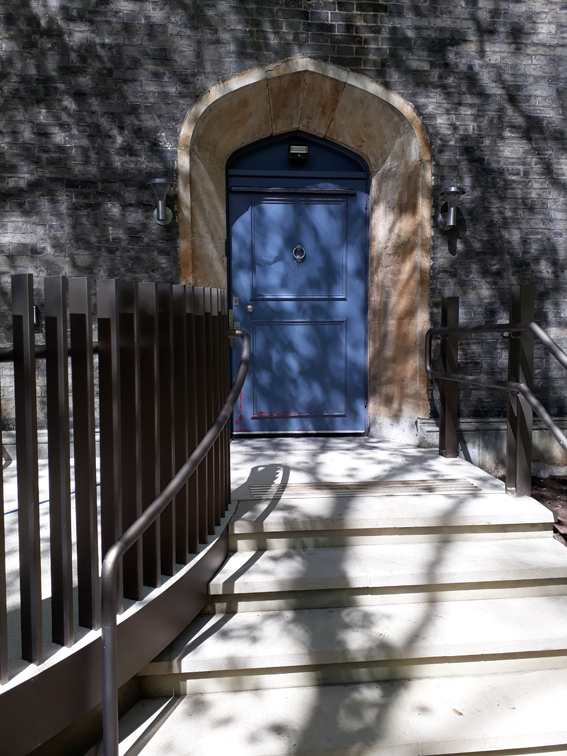 A new front extension creates a new threshold for the church: a capacious entrance hall plus ancillary spaces including kitchen, toilets, stores and an office. 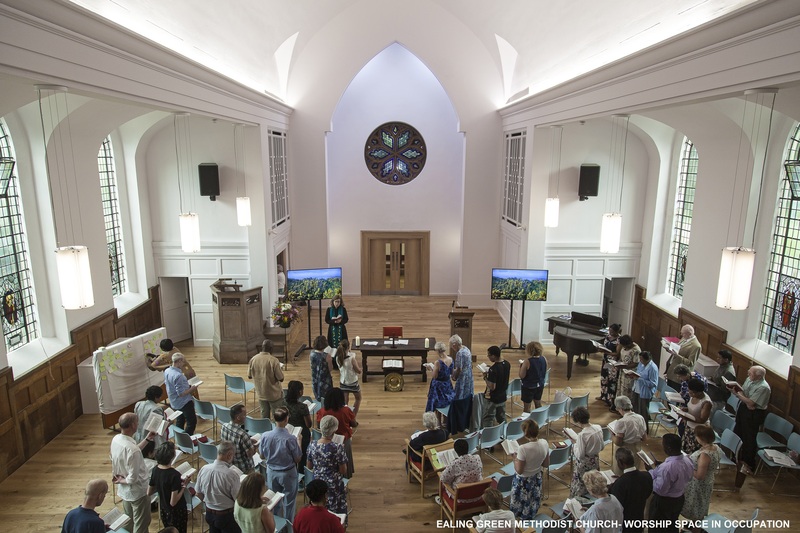 The new hall is a lofty space filled with light and with its own special character. 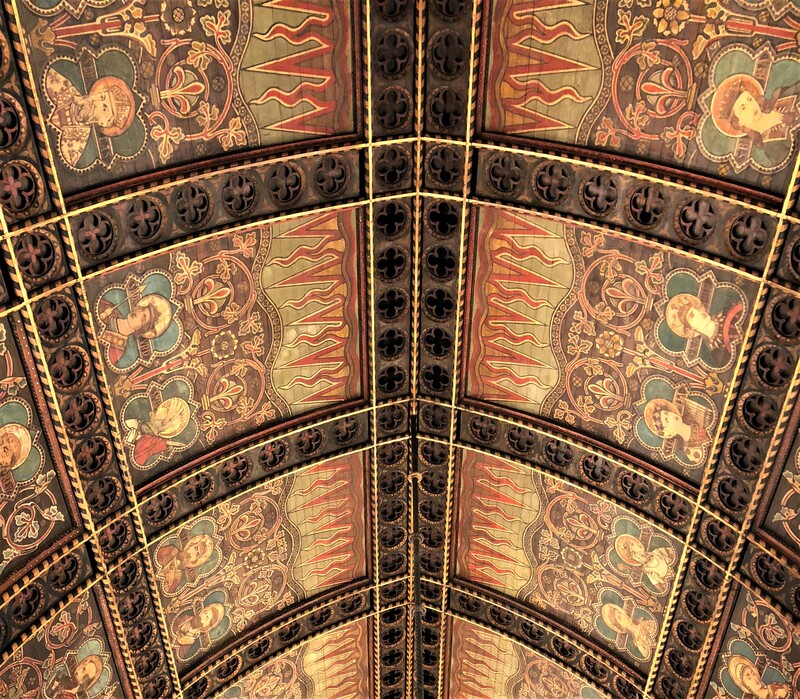 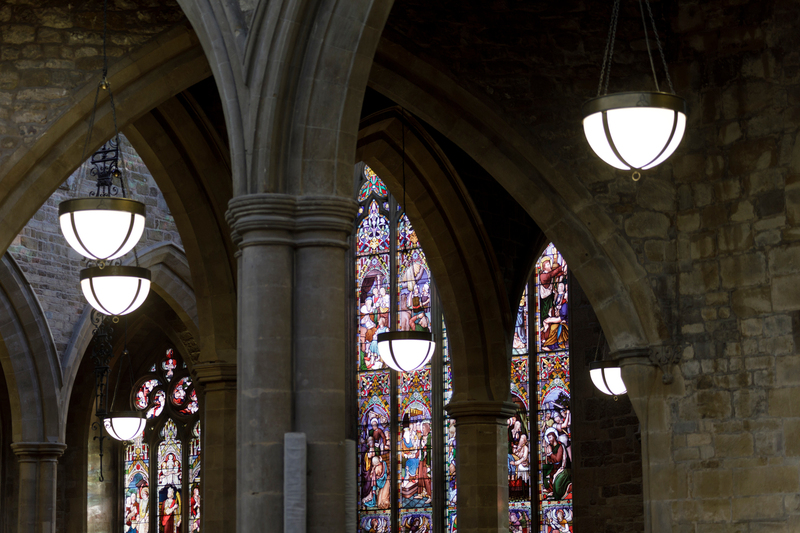 The huge top light and the circular timber crown in the ceiling give it a numinous quality as befits a true narthex. 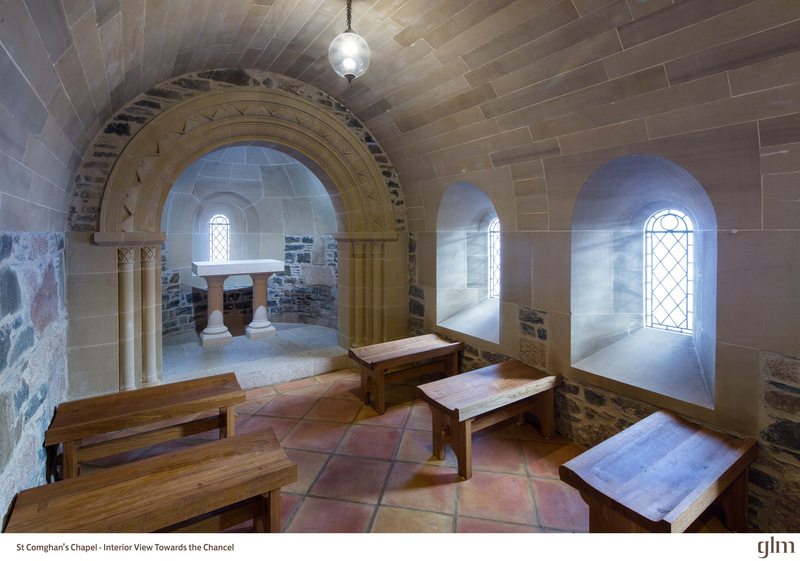 This is a space that mediates between the secular and the sacred. 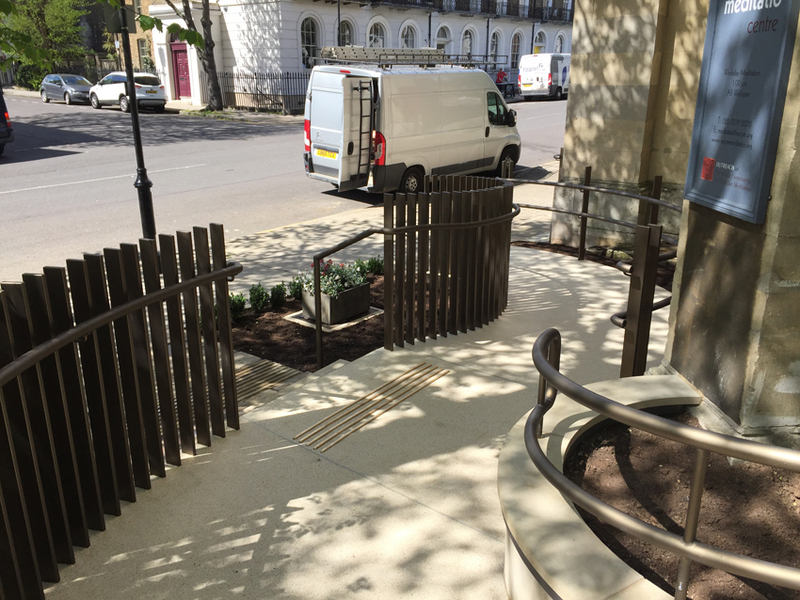 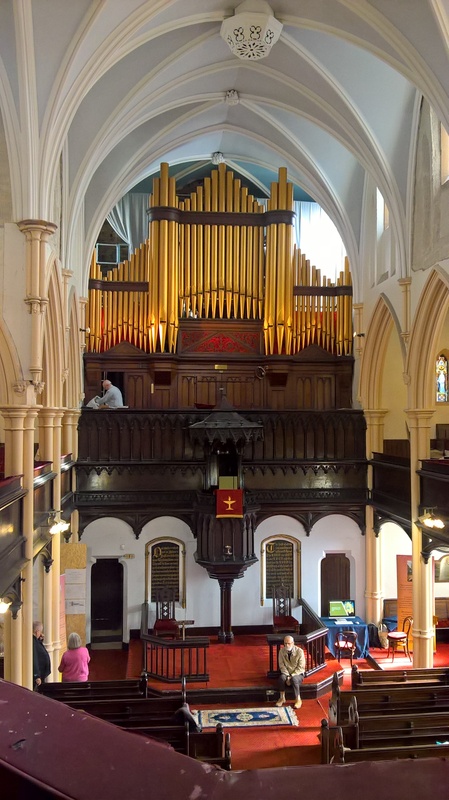 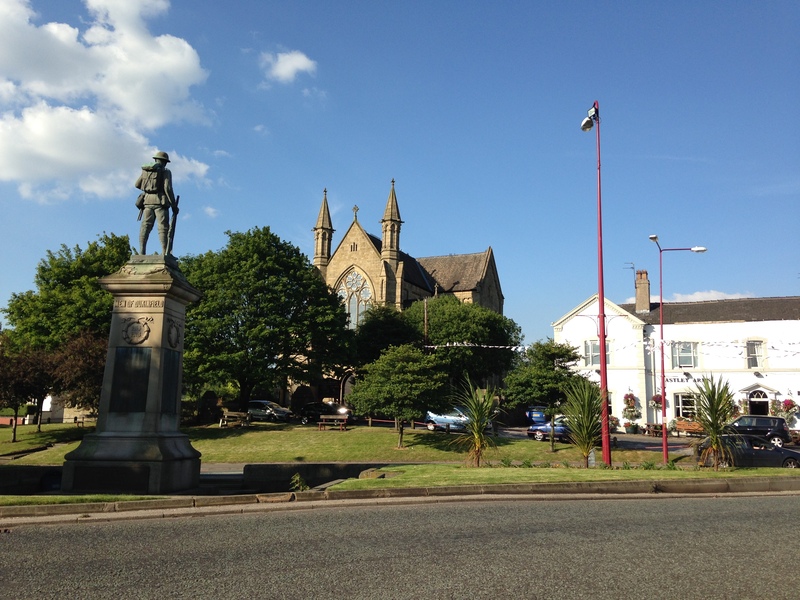 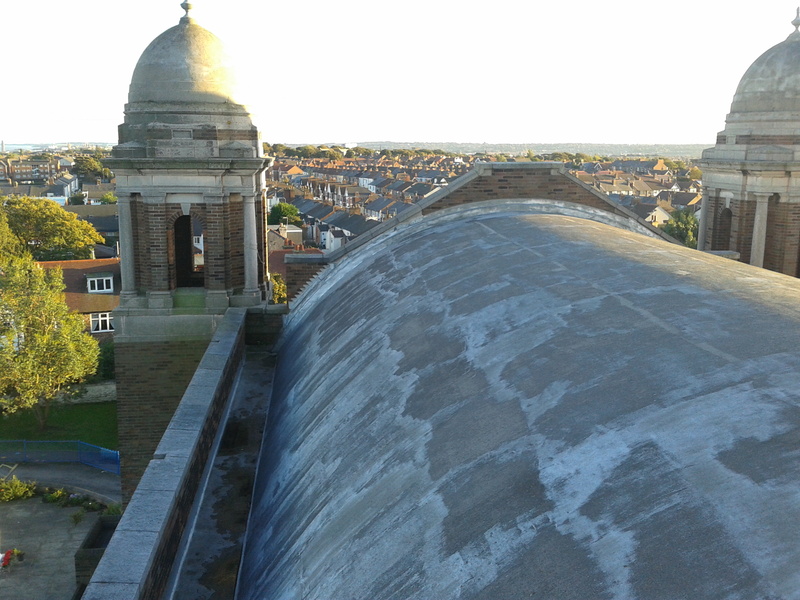 This project included careful structural timber and plaster repairs in tandem with re-roofing works and renewal of rainwater goods that were specifically designed to enable them to be more easily inspected and maintained in the future. 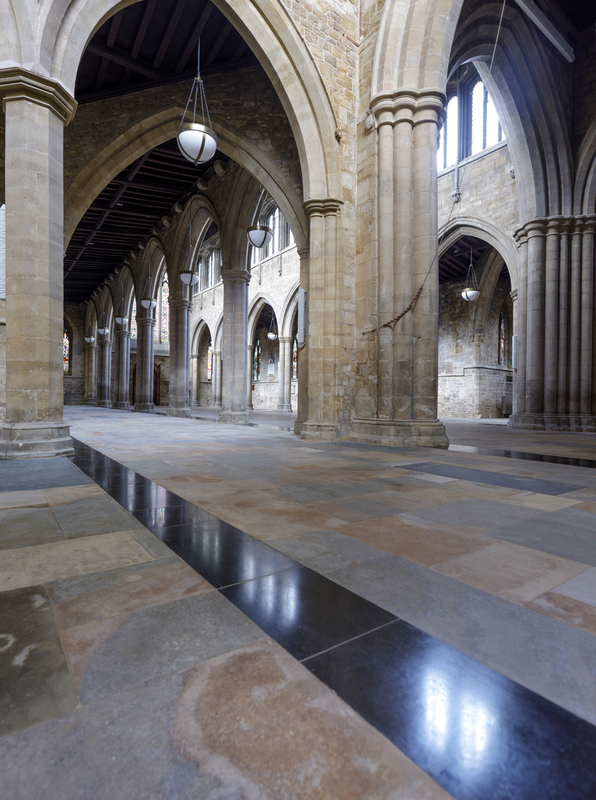 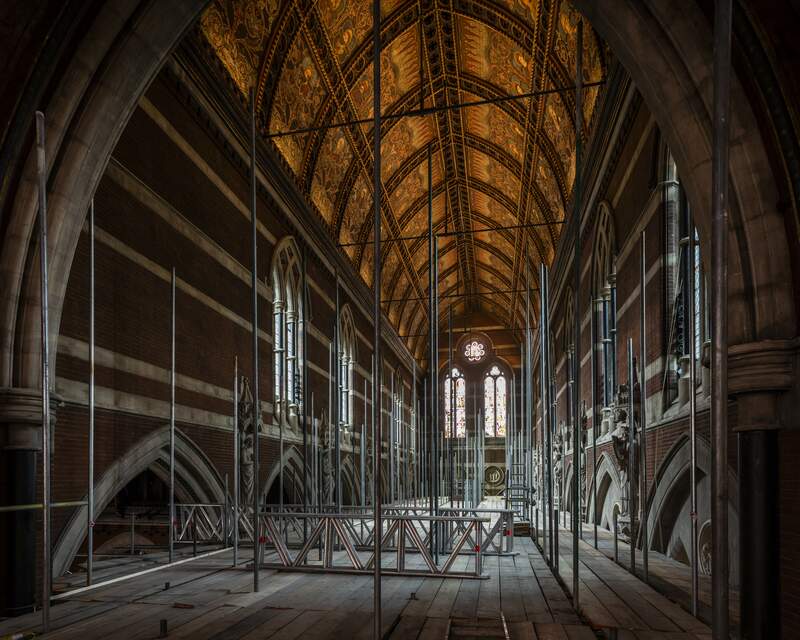 The conservation work has allowed the chapel to reopen. 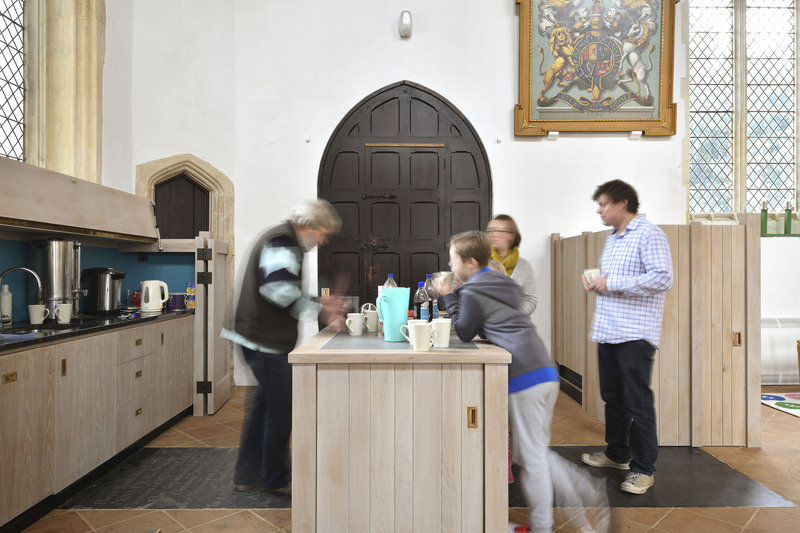 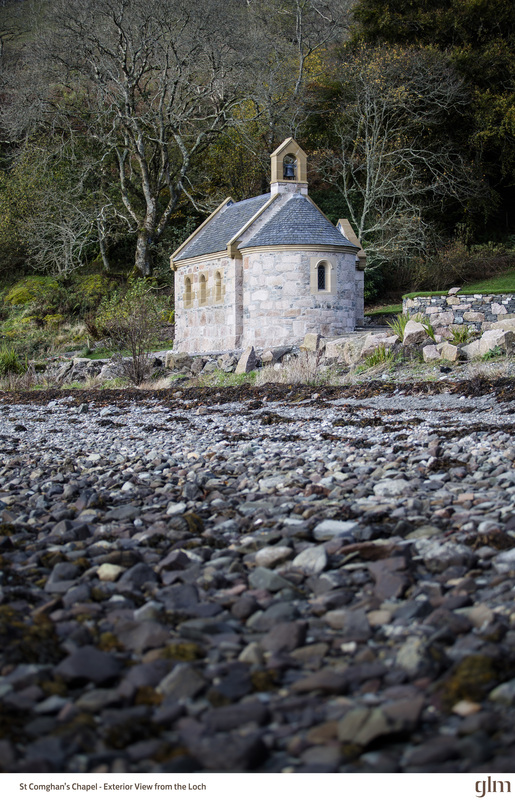 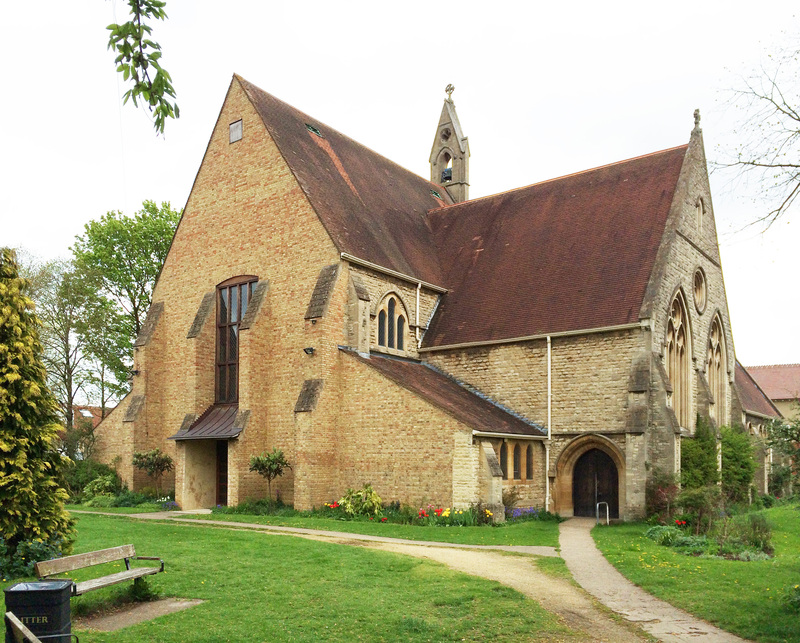 The works are aimed at growing the church and the use of the chapel build by the local community. 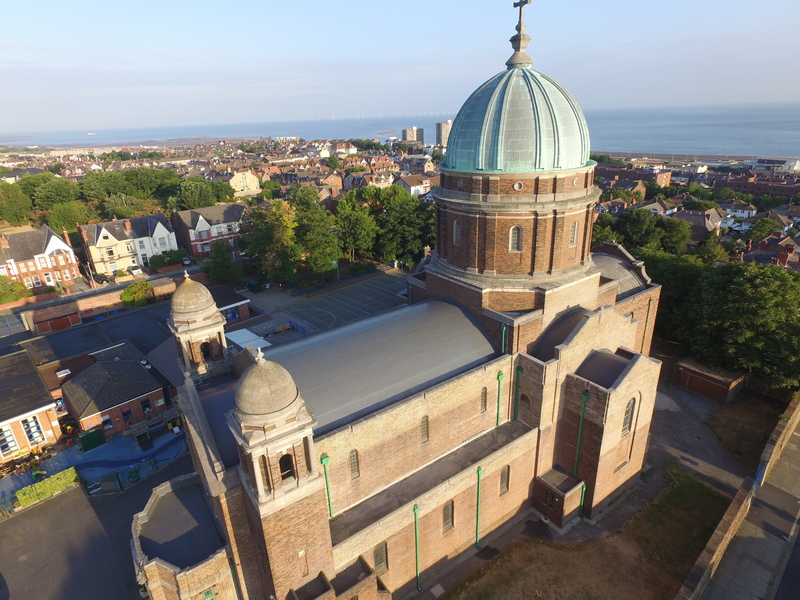 St Peter, Paul, Philomena, New Brighton Drone view of new roofs, pointing, rainwater goods and some windows.